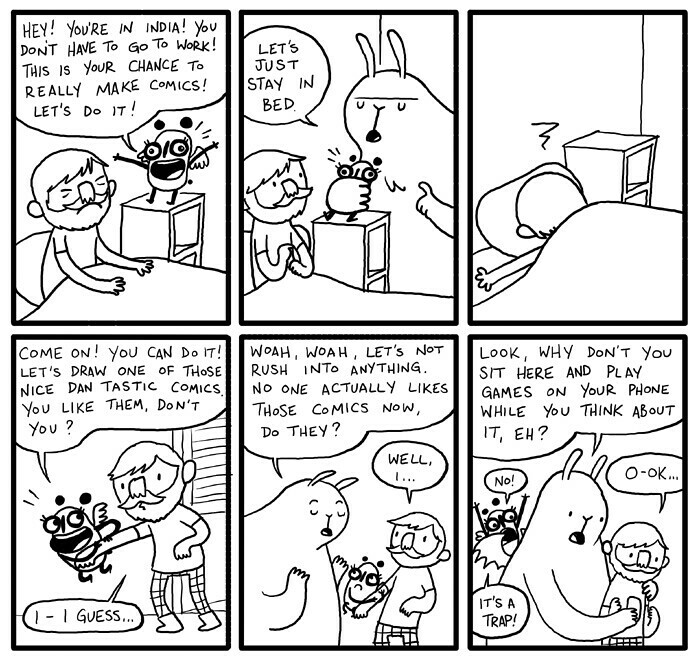 This entry was posted in Comics and tagged angst angst angst, comics, panda, rabbit on February 23, 2011 by eruditebaboon. It’s ok! No pressure! Seriously though, how great is that beard? That rabbit has done me in countless time before, heh, so good luck with it, Mr. R. You’re in India – make the most of it! hey, how IS it in india? i’ve been contemplating a journey. Where’s Dan Tastic to rescue you when you need it?!? Oh man I freaking loooooove Chacha. Especially how he never does anything at all, never uses his ‘faster than a brain’ computer, but gets out of every situation by making Sabu do all the work, then takes all the credit. I also love how open he is about hating his wife.